Newhouse said the system of dams are responsible for more than 100,000 jobs. PASCO, WA -- The U.S. House Natural Resources Committee has set a field hearing in Pasco to focus on the economic benefits provided by the Columbia and Snake river dams. The Sept. 10 hearing was scheduled at the request of Rep. Dan Newhouse, R-Wash. It continues the tradition of retired Rep. Doc Hastings, R-Wash., who organized a field hearing on the same topic in Pasco in 2012. 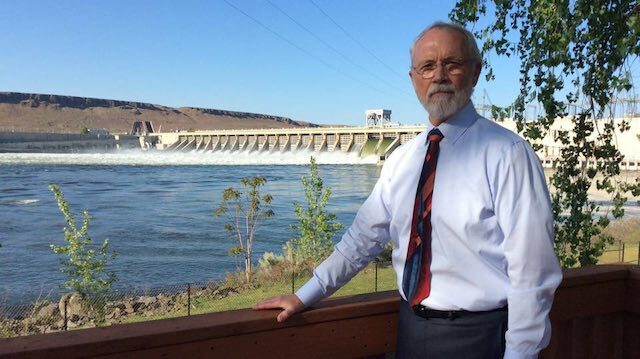 The hearing is intended to educate Congress and a national audience, helping dispel misinformation about the federal Columbia River power system, Newhouse said in his request for a hearing to the Natural Resources Committee. "Unfortunately, misguided movements continue to push for the destruction or degradation of our river power system and the many benefits both rural and urban communities on both sides of the Cascade Mountains receive," he said. The hearing will be an chance to bring together diverse interests that benefit from the rivers and hydropower systems, including representatives of power, labor, agriculture, transportation, navigation and recreation, he said. The dams are the "economic lifeblood" of the Pacific Northwest, he said. They provide irrigation for the agricultural industry, navigable routes for the region's export-dependent economy and flood control for local communities, he said. They also provide renewable, affordable power. However, U.S. District Judge Michael Simon has found that not enough is being done to improve Northwest salmon runs and has ordered a federal environmental review of the power system. The review, which began in 2016, is required to look at breaching the four Snake River dams in Washington state as one option to protect fish listed under the Endangered Species Act. The congressional committee hearing is set for 10 a.m. at the Pasco City Council Chambers. The hearing will follow a Sept. 8 community festival, Riverfest, that's intended to raise awareness about the role of the Snake River dams in the Tri-Cities economy. The free festival, from 11 a.m to 3 p.m., will be at the east end of the Columbia Park near the Lampson Pits in Kennewick. More than 40 exhibitors and vendors are planned, with activities for kids and adults. Highlights will include a tour of a Tidewater tug and a demonstration of the Whooshh salmon "cannon."